Wow! My pre-order of new “stuff” arrived yesterday! I am really speechless as to how lovely it all is. I really can’t choose a favourite, only to say they all are. Now as for the new book – wait until you lay your hands on that. I promise, you won’t be able to put it down. I know I am going to have to win Lotto, as I WANT & MUST have everything NOW! I couldn’t wait to use something & this challenge was crying out for some to be used on it. It’s a really fun challenge this week over at Sunny Challenges & Creations… The challenge was set by Gwen which included not only a sketch, but we had to do some embossing & a Christmas Theme. Well, this got me thinking & after receiving my pre-order goodies, I wanted to use the gorgeous new ribbon coming out September 1. I also wanted to do something in non-traditional colours which is what I like for Christmas – a something a little different! 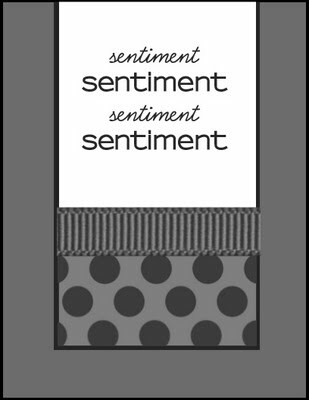 So, my card is based around the ribbon & my non-traditional colours. Using Early Expresso Ink, I stamped off once, then stamped directly onto the Whisper White & then repeated again but not re-inking my image. I wanted the faded images in the background. This piece was adhered to the base card – Pink Pirouette. I’ve been playing with my Shimmer Paint of late & experimenting all different ways of using it. Amazing the results you can achieve!!!! 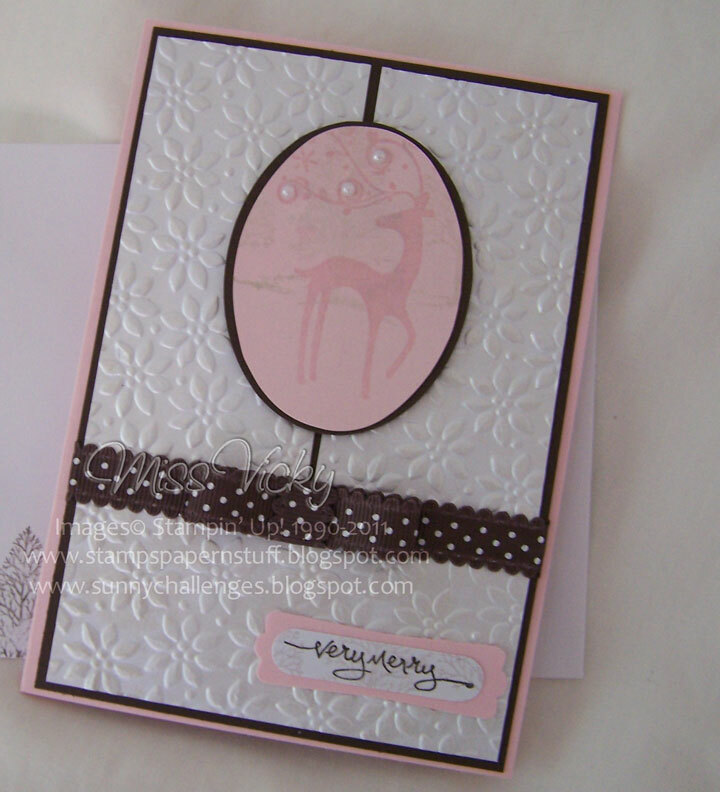 I stamped my Dasher – so so so pleased he didn’t retire – image onto Pink Pirouette Cardstock using Versamark & heat embossed using Clear Embossing Powder. I then grabbed my jar of Frost White Shimmer Paint – gotta love this stuff – a SU Dauber & spread the paint all over the piece of cardstock. I wiped all the frosted paint off Dasher using a tissue. This also shines your cardstock a little too. I then used the same SU Dauber & Paint, except this time applying direct to the stamp itself. I stamped this image directly over “Dasher“, used my tissue to wipe all the paint off my embossed image & around the piece of cardstock. 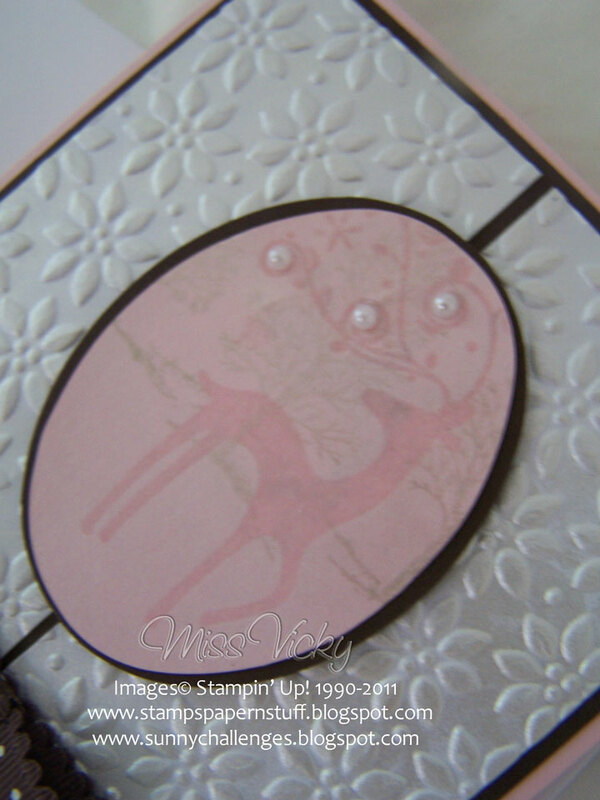 I run this piece of Pink Pirouette Cardstock through the Bigshot using my Ovals Die. It doesn’t matter that only part images appear on the completed oval – think it looks better this way. I repeated again except using a piece of Early Expresso Cardstock & adhered the Pink Pirouette to the Early Expresso. I adhered a couple of Basic Jewels to his antlers. I run my 2 pieces of Whisper White Cardstock through the Bigshot using one of my favourite embossing folders – Petals a Plenty. Oh what the hell, they are all my favourites! While I still had my good ol’ Shimmer Paint & SU Dauber, I randomly spread Shimmer over the raised section of the embossing. I wanted the flowers to stand out a little more! I repeated the same for the bottom piece of Whisper White. I adhered all these pieces of Whisper White to the Early Expresso Cardstock & run a piece of the new gorgeous Chocolate Chip Ribbon across where the top & bottom meet & tied a bow-tie. For my greeting, I again stamped the tree image using my SU Dauber & Shimmer Paint onto a scrap piece of Whisper White, stamped the sentiment using Early Expresso Ink over the top, punched using the Word Window Punch & adhered to a piece of Pink Pirouette Cardstock which had been punched using the Modern Label Extra-Large Punch. This was the adhered to the base card. 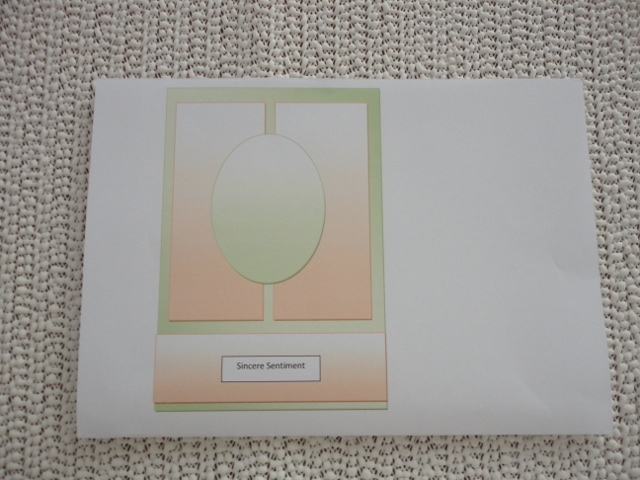 My oval was adhered to the base card using SU Dimensionals. I didn’t want it to be lost in the embossing & shimmer paint. I think I may have pulled off the look I was hoping for! To try the challenge out for yourself, why not head over to Sunny Challenges & Creations… & have a go! While over there, see what Gwen & Kris have created! Yes, another posting & another challenge. You may need your sunglasses for this one. 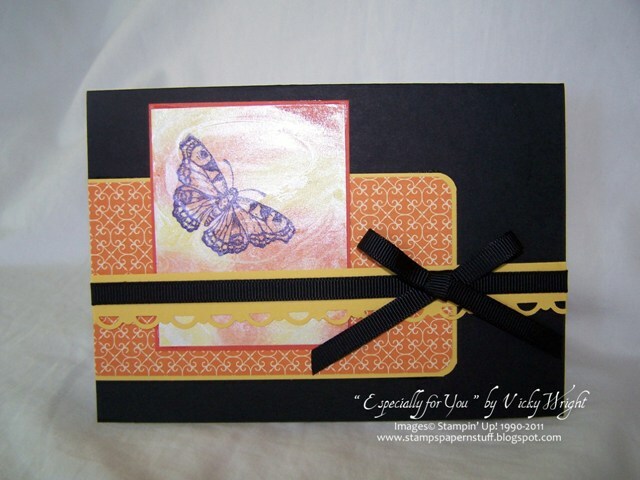 When I saw the challenge, I wanted to use the DSP – Sweet & Slumber, while at the same time using Basic Black Cardstock. This challenge comes from Create with Connie & Mary Why not hop over & have a go yourself! I randomly spread Shimmering Paint – Frost White over the Whisper White Cardstock & allowed to dry. 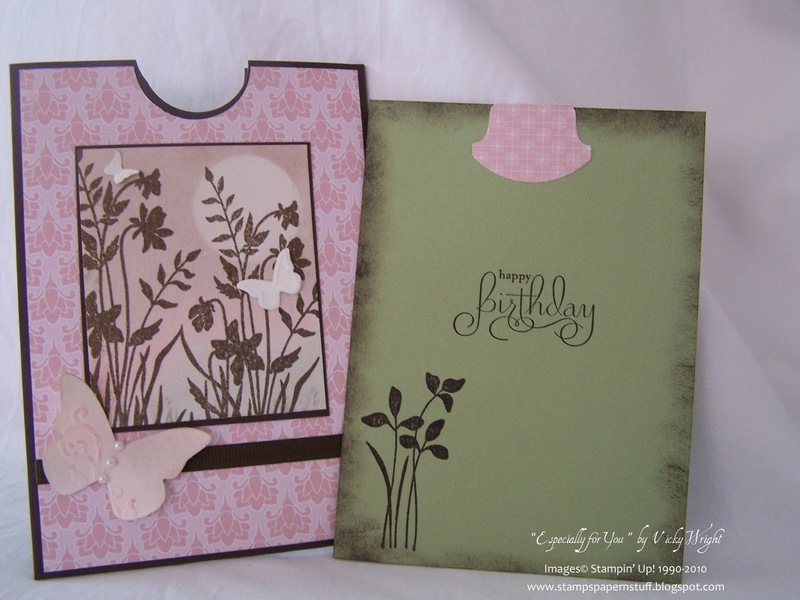 Prior to adhering DSP to my Daffodil Delight Cardstock, I punched corners of both pieces using my Corner Edge Punch. This was adhered to the Base Card, as per the sketch. Using Tangerine Tango & Daffodil Delight Inks & SU Sponges, I sponged over the top of the Shimmer Paint. 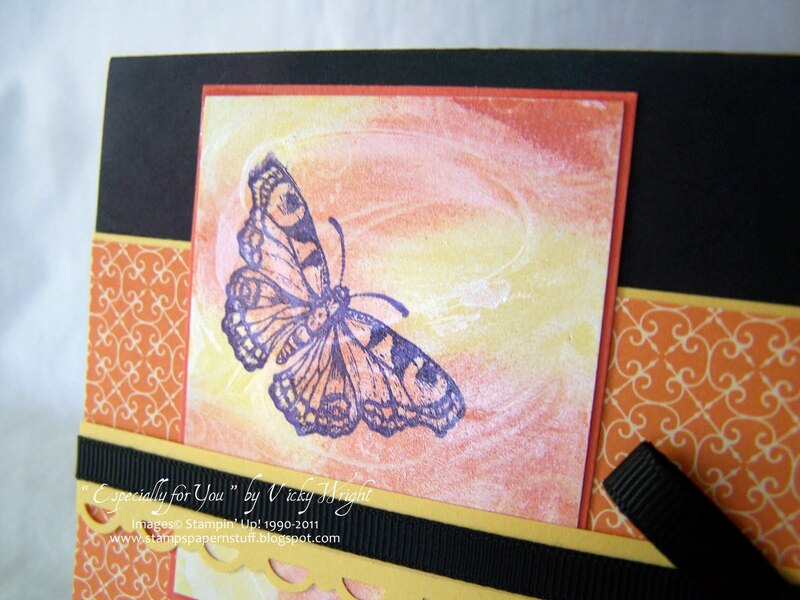 I stamped the butterfly image using Basic Black Ink. This was adhered to Tangerine Tango & then to the card. 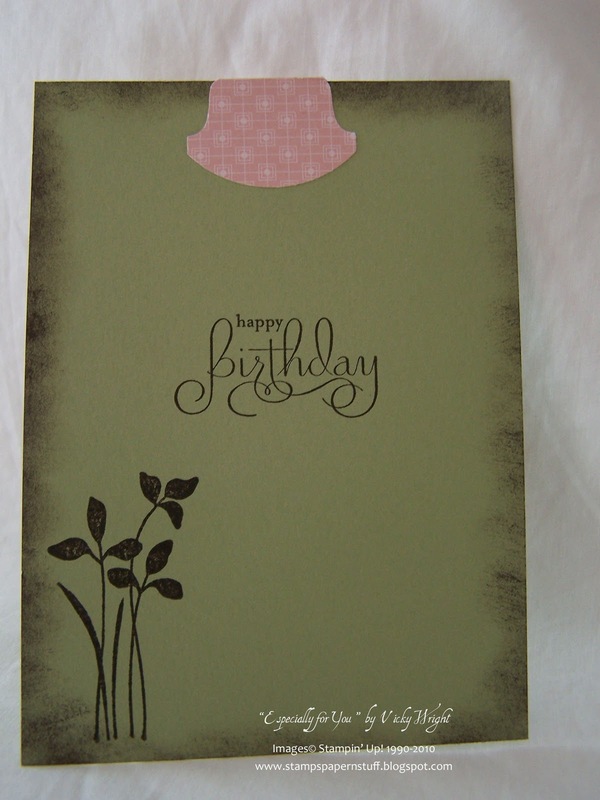 I cut a small piece of Daffodil Delight Cardstock & punched one side using my Scallop Edge Punch. I then attached Basic Black Grosgrain Ribbon along the middle of this piece & tied a bow prior to adhering to the card. Again, I have no sentiment. I find this sometimes covers a lot of occasions. Today just happens to be Mother’s Day, so to all those mums out there – “Happy Mother’s Day!”. For my card, I’ve taken the sketch from Clean & Simple Stamping It also qualifies for my group’s weekly challenge, I think! Group’s Weekly Challenge # 119 – Focusing on Embellishments. We must have at least 3 emblishments on our project. 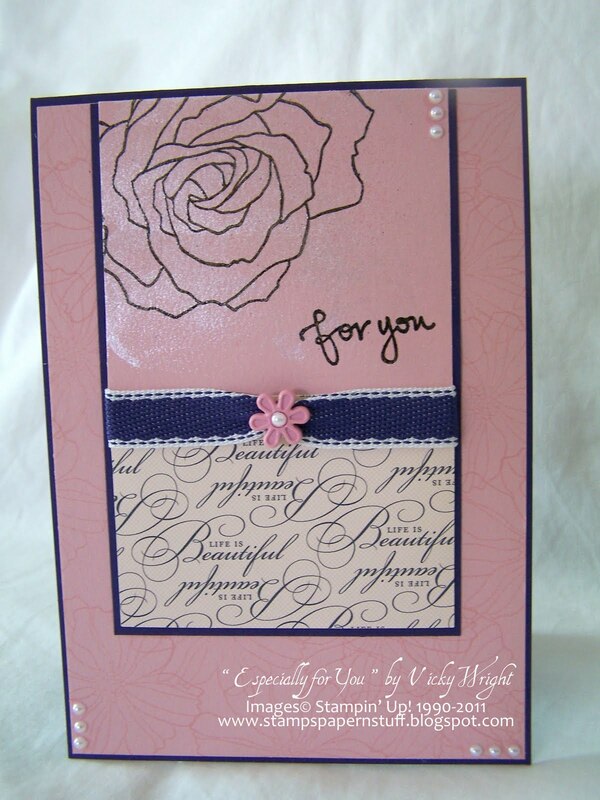 I stamped the Blushing Bride Cardstock randomly using Blushing Bride Ink & my flower image & adhered it to the base card. I randomly rubbed Shimmer Paint over the Blushing Bride Cardstock & heat embossed Clear Embossing Powder for the flower outline. I used Versamark & Basic Gray Ink for the flower outline. I repeated the same process for the sentiment. I then adhered the DSP to the bottom half of the card piece. I added the Brad to the middle of the Ribbon prior to adhering this to the top of the DSP. I adhered Blushing Bride Cardstock to Concord Crush & adhered the whole lot to the Base Card. Wanting to make the card “pop” a little more, I added 3 small Basic Pearls to the top RHS, bottom LHS & bottom RHS of the card. I also decided to add one to the middle of the brad. I used Crystal Effects to adhere the pearls. It has been a couple of days since my last post. I have been busy out in the garden, but now it is just too hot again, so with all housework, etc completed, music in the backbround, Tennis on TV – sound turned down, and my stamps everywhere, I can play! What better way to spend Sunday arvo, except the beach or maybe fishing! 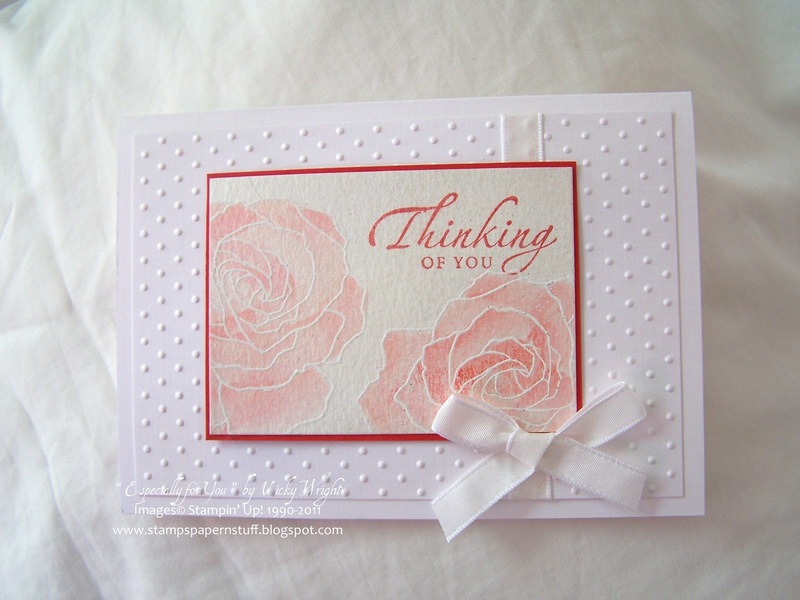 The inspiration for this card comes from the new sketch over at Stamping 411 and I have combined my group’s weekly challenge where we have to make a Sympathy card – see Here for the 1st card posted. 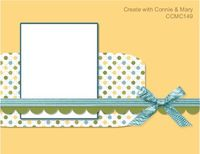 For my card I used the Bigshot, Embossing Folder – Perfect Polka Dots – I am loving this folder, but you have probably guessed by now – and embossed Whisper White Cardstock. Taking a piece of Watercolour Paper, I randomly applied Shimmer Paint and allowed to dry. If you are too impatient, this is where your Heat Tool comes in handy, but I am happy to do something else while waiting for Shimmer Paint to dry. Wipe your Embossing Buddy over the Paper. With your image, stamp over Watercolour Paper using Versamark. While still wet, apply Embossing Powder – White, over the image. Tap excess into your Tray, and heat image using your Heat Tool. 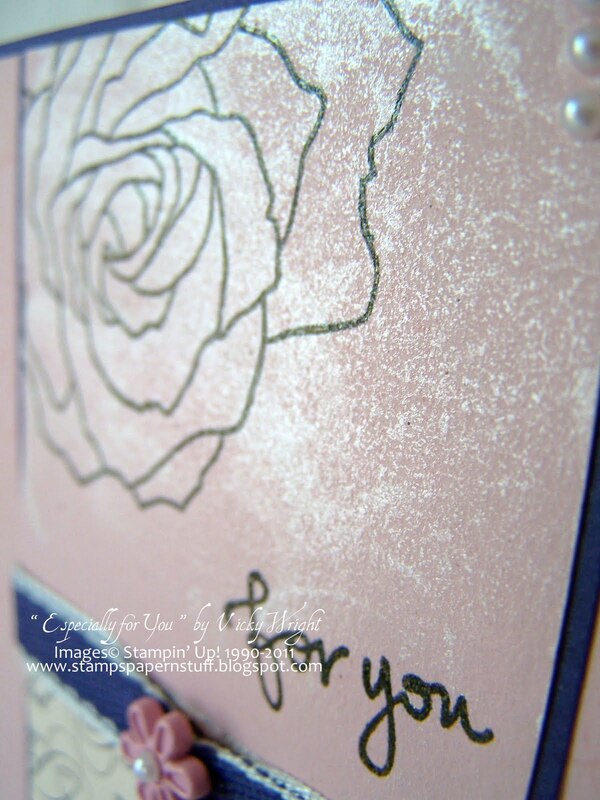 I love embossing as I love to watch the Powder change colour…. Using an Aqua Painter and Poppy Parade, colour your image. This is the best part, as you can pick up the ink and with your Painter, lighten or darken your image until you are happy with the result. I kept mine light as I wanted to keep the whole card very clean. I then stamped my sentiment directly over the Shimmer. I’ve found using Shimmer Paint, even the bright colour inks will look soft once stamped. It also gives a completely different to Watercolour Paper. Adhere this stamped paper to Poppy Parade Cardstock. 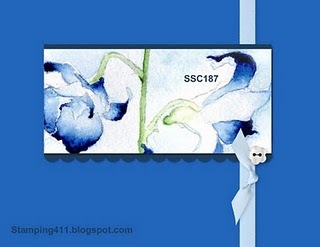 Adhere ribbon to the Embossed Whisper White RHS and adhere Poppy Parade to this piece of Cardstock. Tie bow and adhere to card. as they cover all types of occasions. The card today is one I made about 6 weeks ago & have been meaning to post, but things have gotten in the way. I was really happy with the way it turned out. 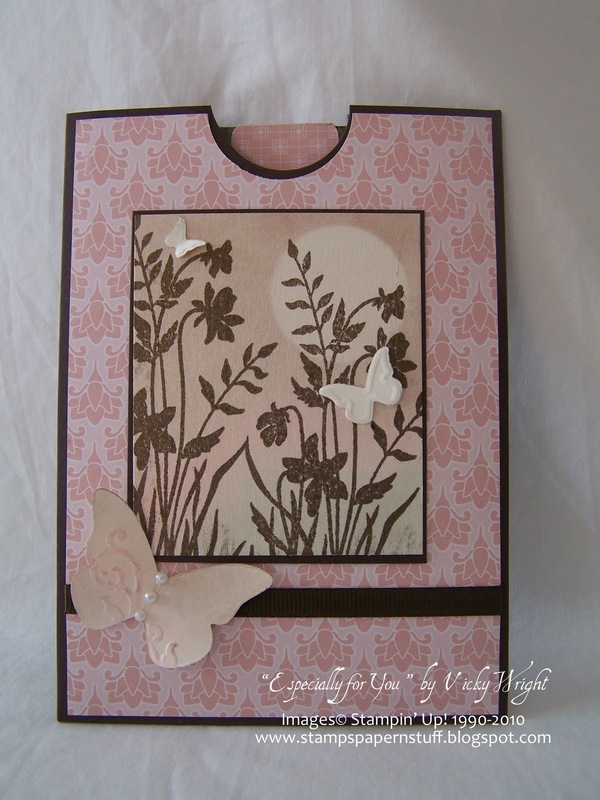 I used a couple of Techniques on this card – Sponging, Stampin’ Pastels & Shimmer Paint. I hope you enjoyed today’s card share. I know I thoroughly enjoyed creating it!